Rigs are used extensively in professional studios. They enable animators to create gravity defying effects which look absolutely fantastic. Our rig will allow you to do the same. The system includes a solid base which can either be held in place with the supplied threaded tie-down system or with the addition of a magnetic system. The rig allows both vertical and horizontal motion. 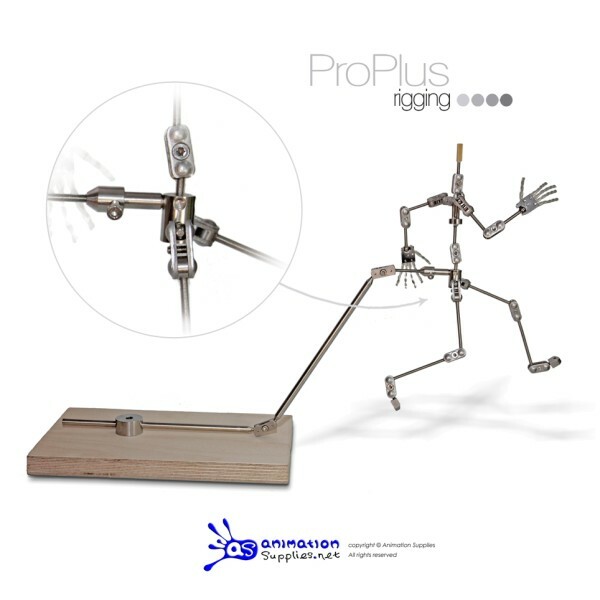 It also comes complete with a rigging rod which has incremental markings to aid animation. Two heavy duty ball joints are included which have been especially designed for the system. Using the included Allan key the tension of each joint is easily adjusted. If necessary additional joints can also be added. 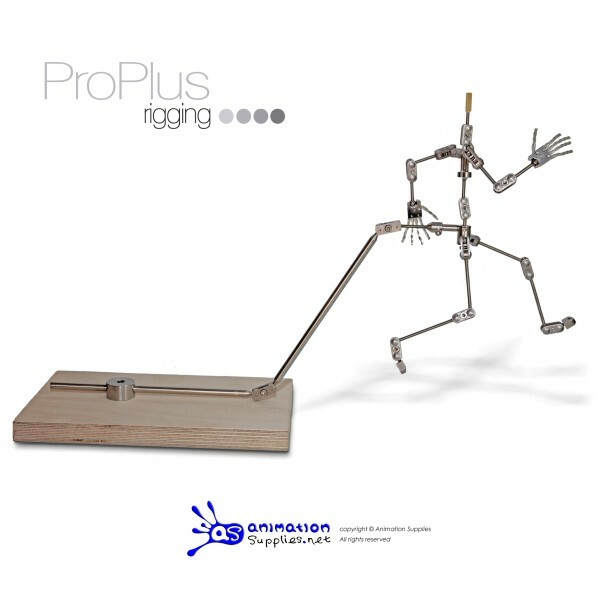 This robust rigging system can then be removed by using a tool like the Stop Motion Pro Rig Removal Feature. 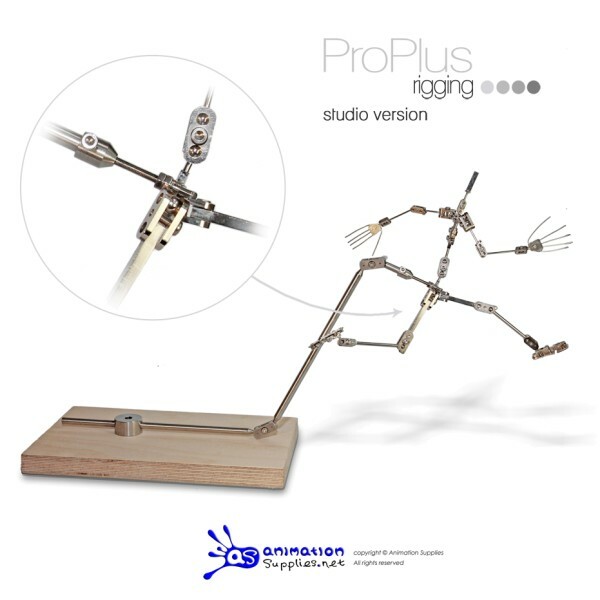 The ProPlus rig is designed to be used with our ProPlus Armatures but can be used with most of our other armatures too (additional components maybe required). Select the armature that you intend to use the rig with from the drop down list and we will send you all the components that you will need. 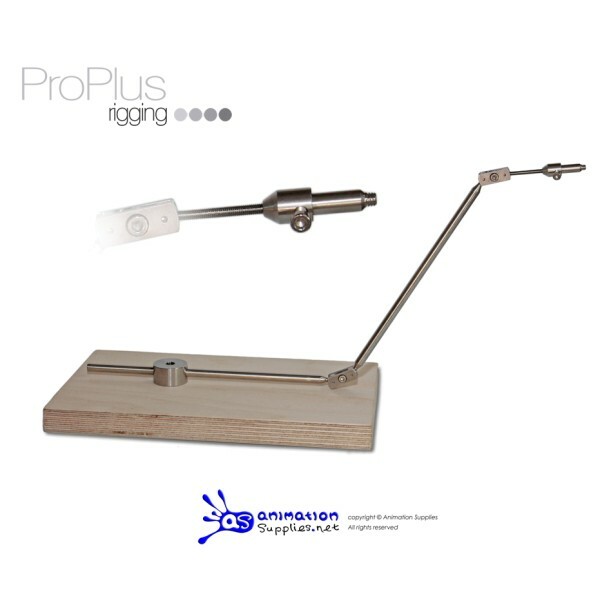 The ProPlus Rigging System requires minimal assembly and there is no cutting or threadlocking to be done. 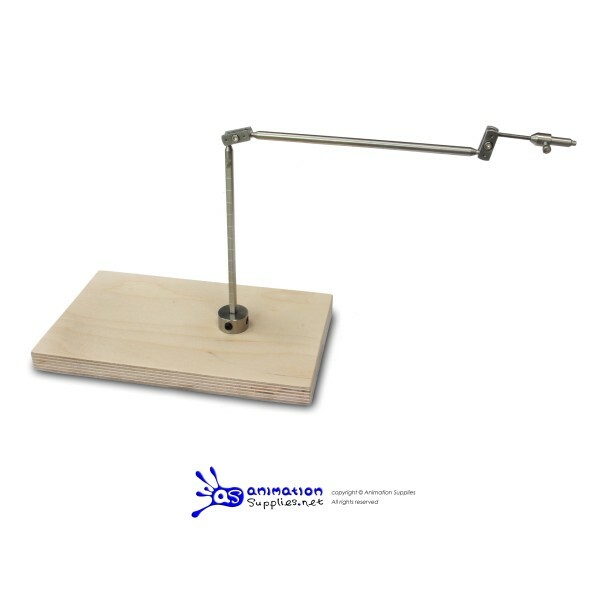 It also features one of the easiest methods of attaching your rig to your armature on the market. Be sure to look at the images in the gallery below for more information about the rigs features. Armature not included!